It can be difficult to sort good information from bad information when it comes to baseball instruction. That is the battle everyone faces. But i have a few markers that may make it easier to sort through all of the information that is out there. I was recently asked about how to know good from bad baseball instruction. I thought it was a good question and decided to share my thoughts on the issue. 1. Level of experience. 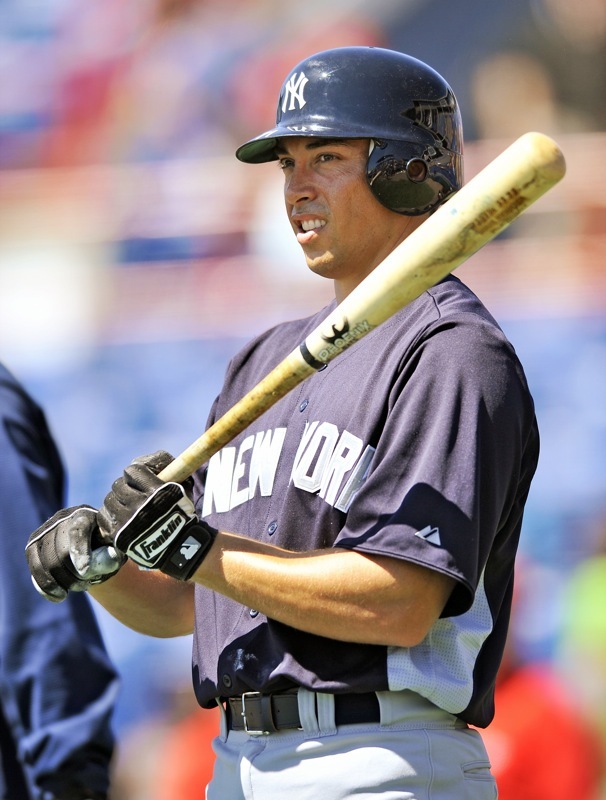 First, I believe that it helps if someone has experienced professional level baseball. I believe this is the purest form of baseball, since competition is too good for trickery and gimmicky plays to work (unlike high school and college baseball). This means that solid fundamentals matter more than ever. Since the competition is so evenly matched, MOST players need more than just athleticism to separate themselves from the pack (of course there are some exceptions) – they also need knowledge. 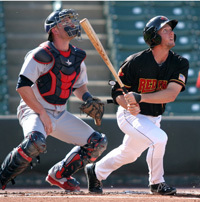 To succeed at the professional level, players have studied the game for years and become experts in both the physical mechanics of hitting, throwing, fielding, etc. and by learning how to play the game mentally. Just like in the highest level of any sport, when the players are so much better, the little things count so much more. Furthermore, when a player has played professionally, they have had access to other coaches and players who have also attained that high level – this means they have more opportunities to learn from the best and continue perfecting their craft. And here’s one more thing to consider… There is an idea in psychology that says it takes 10,000 hours of working at something to become an expert. That’s about 3.5 years of FULL TIME work. Since most people do baseball at, let’s say, 2-3 hours a day for 5-6 days a week all year round (being generous), we’re talking decades to become an expert. I ‘ve been playing baseball for 2 and half decades now, about half of that professionally, and I feel like I’m STILL learning new stuff all the time. But my point is, professional baseball players are the ones who have those kinds of hours under their belt. 2. Approach to Learning. Second, I believe that some of your best players are not the best coaches. Some players were just born to be all star’s. They separate themselves on pure talent and often times don’t need to learn the things that most players need to learn. They haven’t spent the time really studying the game. If you look at some of the best big league managers, most were not the best players in their era, but they grinded and they really watched and studied the game. 3. Catchers. Catchers need to know almost every facet of baseball (pitching, hitting, strategy, etc.) since they are in the middle of every play. From their defensive position they can see all, and they are constantly learning. For this reason many catchers can make really good managers and coaches. 4. Flexibility and Insightfulness. Baseball is a unique game where there is not always one way to do something. I believe that it is important for a coach to be flexible in certain areas that are unique to the player but also have enough knowledge to identify the things every good player must do. For example my little league coach would always tell me and others to keep my back elbow up. Why? There is no reason. There are good hitters who hit with their elbow up and some with their elbow down. It is more important to understand how you are getting to the contact point and what every player does at contact, rather than if your elbow is up or down before the ball is even pitched. It may be of some concern if a coach is trying to mold all hitters, pitchers, etc. to all do things the same way. Everyone is a little different and some of your best coaches work with each player to use what they do best and make that work, rather than molding them into the only way the coach knows. 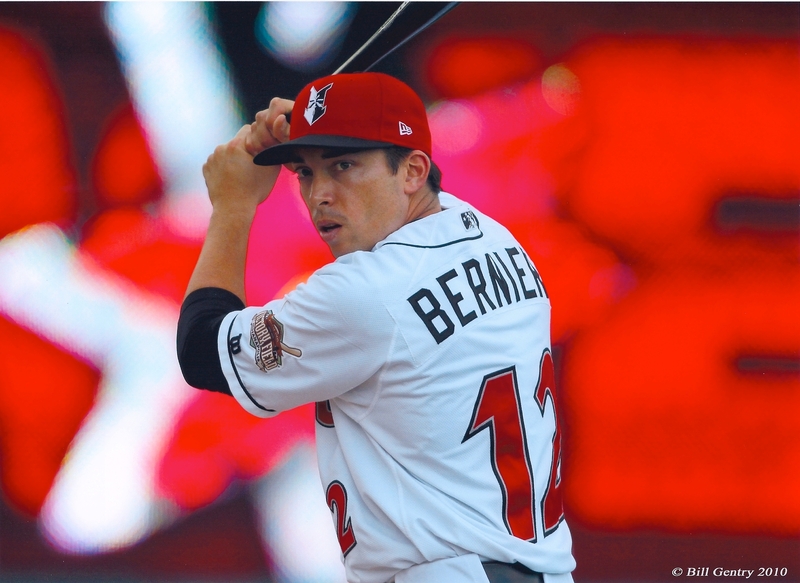 Looking for free baseball tips and instruction from the pros? My son has played 3 seasons of baseball. This spring is his 3rd. Well, I’m really disappointed that he has been playing outfield this WHOLE season. I feel like at 8 years old. These children should be playing different positions. My son has started to not like baseball because of this. It’s like he is the only one that gets stuck out in left field. EVERY GAME!! I just want to know what to do so he will still want to play next season. I’m not sure why this coach does this to him. His former coach last year recommended my son to go straight to pinto league. The coaches are friends. My son’s potential has just went out the window and I’m really frustrated because of it. I really need to get my son back to wanting to play! PLEASE HELP!!!!!! Well, I didn’t even know it was possible but somebody used our contact form to ask a question and did not leave their name or email address. I didn’t realize that until I’d already typed out the reply, so I’ve decided to post it here. there are a lot of baseball frauds out there, so why should anyone listen to you? “Hi and thanks for writing in. I understand your concern about poor instruction for your son. This is actually a sore spot for me too, since I received some bad coaching when I was young as well. It’s frustrating to learn the way you’ve been doing something is actually holding you back, and then it’s tough to break those bad habits. This was the topic of a blog post I wrote a while ago [yes, this one] and really, it one of the main reasons I started this website to begin with. It’s why we are trying very hard to keep all the instruction articles and videos free – so young players can have access to good baseball teaching regardless if they can afford to hire the best coaches. At PBI we keep a tight control over the quality of the baseball instruction because all contributors are required to have played or coached professionally – meaning in the MLB or MiLB. Of course, to some degree, you will still encounter different opinions and different styles even among pros, but these are all people who have been successful against top competition and at the level that your son hopes to achieve. If you would like to know more about my qualifications I invite you to read here about my experience here, or you can read about our other pro contributors here. As for baseball lessons, I give more baseball lessons than I have time for, but I don’t think that in and of itself means much, since we already agreed that many there are many self-styled baseball instructors out there who end up teach kids very bad fundamentals. I think it’s more important to look at someone’s qualifications, and then also to compare what they say with what you see in big league games. I have such a hard time with coaching kids and even my kids playing for other coaches. For the last 10 years or so I’ve taught my boys that there are several different ways to catch a ground ball. All depending on the speed of the hit, the location and runners on base, they have to take a different approach. I teach them to play back deeper than most coaches, who, for some reason teach kids to play almost within or in front of the base path. The coaches always try to move my boys in which inevitably results in ground balls being hit by them, instead of them having the time to get to the ball and make a play. In practice when they use the one hand method to field the ball and throw to first, they are corrected and tried to make catch the ball from a stationary position. I hate telling them to not do what the coach says. But here’s the kicker, they both play SS and have above average fielding percentages over the last 2 years, but those guys still try to “Fix” their issues. I can’t coach my sons in high school now, but I am coaching my 12 year old this summer and hope we can teach more kids the flexibility of catching a baseball. There is no one way, there are several ways to do things and all kids are different. I’ve said that for years. That is a tough position for you and your kids. You are correct that there is not one way to do things. There are certain things that you always want to do (such as watching the baseball and keeping rhythm with your feet) but if you watch 10 different major league infielders you will find them doing slightly different things. Keep watching players and continue to learn. That is the cool thing about baseball where we can always learn something new. It sounds like you understand baseball, keep working with your kids and if they continue the success they have had in the past they will continue to get better. I don’t believe you would have had to play Major League baseball to be a good coach; however, it’s great to be around college, Minor & Major League players and “pick their brains” on baseball mechanics & techniques. And, what Doug is saying has proved to be true–those MORE talented didn’t have to study the game sometimes and LEARN how to Coach or teach it. 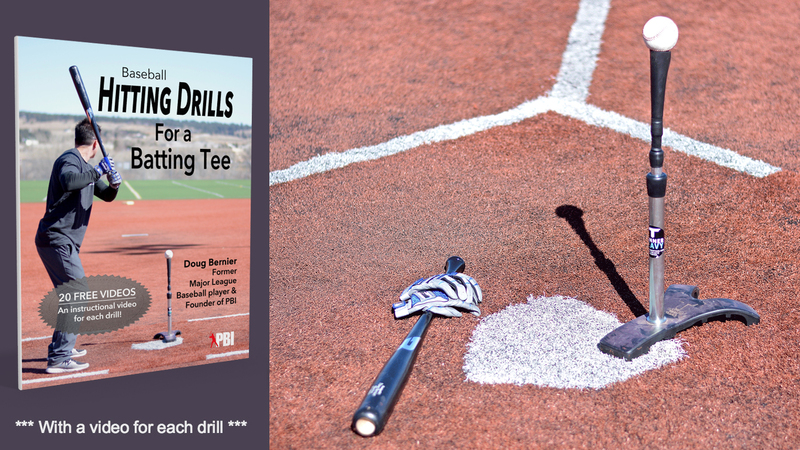 To impart great baseball instruction to kids, I think that you must have learned & experienced proper mechanics & techniques for all positions,and have some real basic knowledge about hitting and pitching. 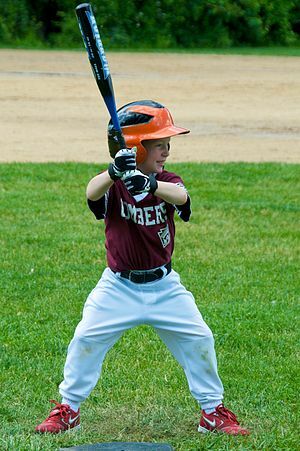 You don’t have to “fit” your young players into a “cookie cutter” mold when teaching hitting for instance–but,have them realize there are several things ALL good hitters must do in order to be successful and consistent. Some of the basic part of coaching has to do with dealing with the various personalities of a kid in order to provide him/her with the proper instruction. All kids learn differently–and, sometimes it takes telling them two, three, four and sometimes MORE times in a different way–in order to get them to understand a concept. THAT can be a real challenge when coaching. If you played at the LL,high school,college level and beyond,and KNOW the mechanics /techniques of what you’re coaching–well,that’s helpful. Thank you, Doug for this FREE information–it was indeed helpful and served as support for what I’m now imparting to my Little League youngsters. I like what you said about not being gimmicky — that’s a huge difference I see at the pro level vs. the high school and college play — the focus transitions to playing the game and perfecting your “craft”. Sorry – big hands got in the way. I know some may say, how would one know good coaching from bad coaching to begin with, (very true), but lets just say, that you have an understanding of the game, and some knowledge of the game, what do you do as a parent to guide your child without being disrespectful to the coach. 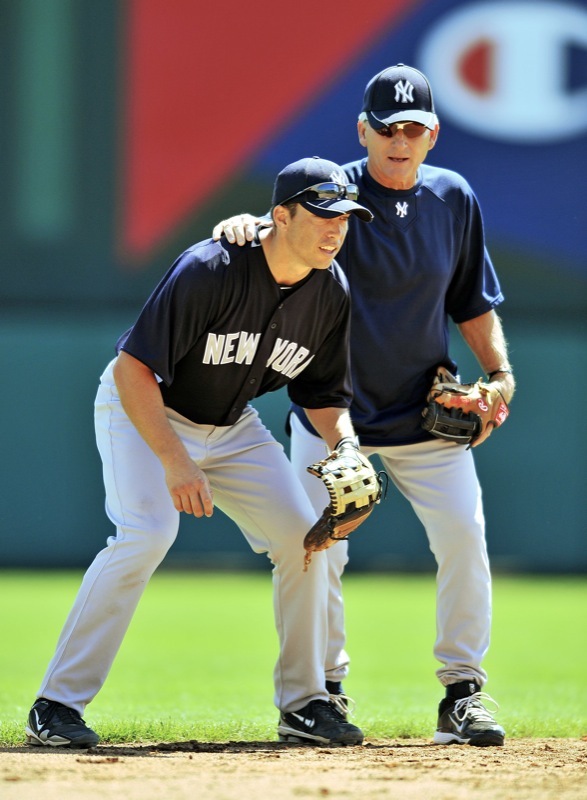 I don’t believe individual who have played in the major leagues are always the best coaches – especially if they show a high level of play in The Show. They can tell great stories, and show off their talent from time to time, but I am not sure, (because of their great talent) they can demonstrate the basics that younger players need. I find the best coaches are those that perhaps weren’t the best at their position or reach all star status, but truly studied the game – are a student of the game, and have a desire to pass on that knowledge. Thanks for your comments, SPGonz. You’re right that it can be very hard to watch your child get bad instruction from a coach. This is a really tough situation. Different coaches have different temperaments. Some are approachable or more easy going. Your kid may be able to tell the coach “I prefer to do it this way…” and then make a really good case for why. Other coaches would say you play my way or you don’t play at all. It’s a situation that the parent and child need to have a feel for what is the best course of action. A parent should help his child develop good baseball fundamentals, but emphasize how to make the best of a team situation. In life, parents won’t always be there to fight the child’s battles for them. I believe the best course of action is to empower the kid to deal with the situation in the best way he can with the situation he has to work with.